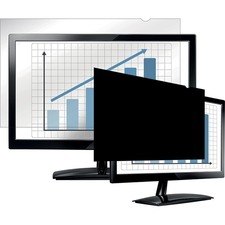 Made using quality 3M materials, this frameless privacy filter for 21.5" LCD desktop and notebook monitors allows you to keep classified or sensitive material from being viewed by others. 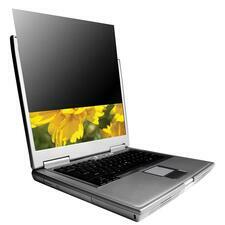 Privacy filter protects screens from scratches and fingerprints and also minimizes glare and reduces eyestrain. Easily install or remove with no harm to screens. Privacy filter is 100 percent recyclable. Packaging is made using 100 percent recycled content. Filter fits 21-9/16" screens measured diagonally (18-3/4" horizontal, 10-9/16" vertical). 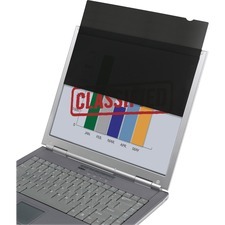 Compucessory Blackout Privacy Filter Black - For 15.6"
Blackout Privacy Filter is designed to prevent unauthorized viewing and help ensure the privacy of on-screen data on your 15.6" wide-screen monitors. Microlouver technology creates a narrow viewing angle so the image is only visible to those directly in front of the screen. Side view is black. Frameless filter overlays the surface for a built-in look. Filter also eliminates glare, increases contrast and protects LCD surface from damage. Filter blacks out from the side view to protect your privacy, while maintaining a crystal clear screen straight-on. New Quick Reveal Tabs™ make it easy to attach and remove. Reversible; matte side helps reduce glare and filter is compatible with touchscreen laptops and monitors. Supports compliance with privacy regulations including HIPAA; TAA Compliant. Protects screen from fingerprints and scratches. Helps reduce blue light transmission. 1-Year Limited Warranty. 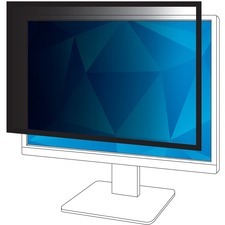 Privacy filter fits widescreen monitors with a diagonal screen measurement of 23.6" (viewable area only) and a 16:9 aspect ratio. Filter dimensions are 20-1/2" W x 11-9/16" H.
Privacy filter keeps confidential information private. 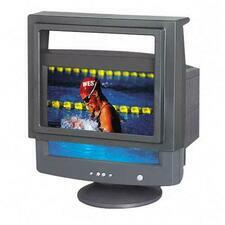 Only persons directly in front of the monitor can see the image on screen while others on either side of it see a darkened screen. It is great for high-traffic areas such as airports, airplanes, commuter trains, coffee shops and other public places. 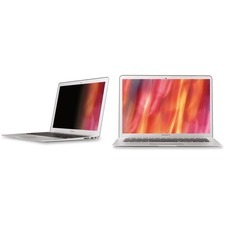 Custom fit to your 11" Apple MacBook Air with your choice of two easy-to-use, included attachment methods. Reversible, matte side reduces glare and reflections. Lightweight, thin, frameless design protects display from dirt, debris and scratches. Clean easily with a soft cloth and water. Filter includes a convenient storage folder that keeps your privacy filter clean while not in use on your device. 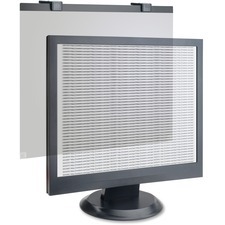 Kantek SVL12.1W Privacy Filter - For 12.1"
Kantek Secure-View Contour Screen Filter Black - For 21"
Kantek has developed the Secure-View filter with View Control Technology. When viewed from the front, the image is perfectly clear; when viewed from either side, the image is blurred, thereby providing privacy. 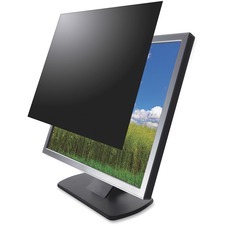 LCD privacy/antiglare filter protects sensitive 17" LCD monitors and provides privacy by blurring screen data when viewed from the side. Specially designed panels are made of optical-quality acrylic with antireflective coatings to reduce glare and improve visuals. Filter includes a Microfiber cleaning cloth for easy cleaning. 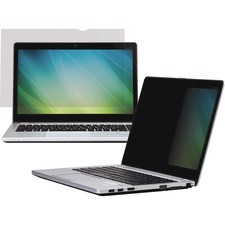 Privacy filter helps ensure the privacy of on-screen data on your 24" wide-screen notebooks and LCD monitors. Microlouver technology creates a narrow viewing angle. Image is only visible to those directly in front of the screen. Side view is black. Privacy filter also reduces glare, increases contrast and protects your delicate LCD surface from damage. Overlay LCD surface with the filter for a built-in look. Aspect ratio is 16:10.